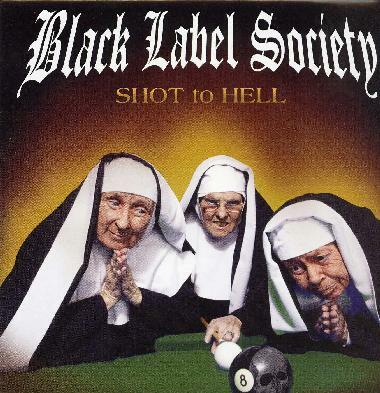 Black Label Society - "Shot to Hell"
Well, after a delay of 3 months the new BLS CD is here. I have been a fan of Zakk for many years and saw him play with Ozzy and twice with Pride and Glory and finally BLS. I have to say straight out that I am really disappointed with this CD and it is easily the worst thing he has ever recorded. What the hell has happened? BLS's music has always been about aggression and power and this record has very little of either. It is like tracks for a solo record or an Ozzy record but not BLS. 13 tracks, 4 ballads and one piano track. These songs are nice and the strongest songs on the record but that is not what I thought this band stood for and I think the long term fans will also dislike the record as well. I know a lot were disappointed with Mafia and I thought that was a weak record after Blessed Hellride and Hangover Music Vol VI (my two favourites). There are some heavy tracks but the chorus and riffs are just too uninspiring. I think the single, Concrete Jungle, is one of the best but it is short, virtually no guitar solo and not nearly as cool as Stillborn or Suicide Messiah (A killer song, in my opinion), and the singles from the records before. Devil's Dime is pretty cool but just not much to offer. If you check out the bands new DVD, Doom Troopin', this is totally killer. As for this studio record…. Trash bin. Sorry Zakk. Love ya man, but this just let me down big time. Really lame cover but cool booklet design with the fold out cross. For more information you can visit the Black Label Society web site at: http://www.zakkwylde.com.